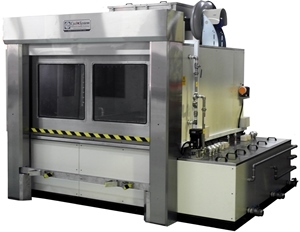 The Cyclojet Heavy-Duty Spray series is a range of standard cleaners used for automatic cleaning of larger parts using jet spray cleaning technology. 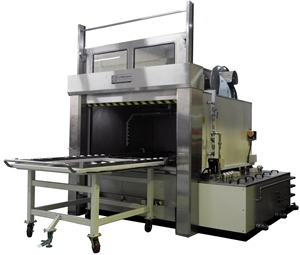 The machine comes in either Single or Multi-stage and is fabricated in stainless steel materials to ensure long life usage. 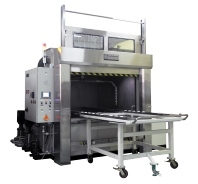 It is modular in design and offers optional attachments which can make the Cleaner a true workhorse for automatic and effective cleaning of medium to large washparts. 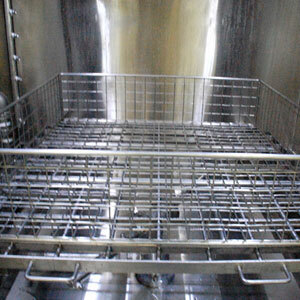 The cleaning medium is automatically heated, filtered, recycled, and typically aqueous-based. The Cleaners come in several standard sizes but can alsobe customized to suit specific cleaning needs.